How to get sound from Latop to your TV using an HDMI cable. Connecting your Laptop to a HDMI enabled HDTV offers many advantages. For example you can use the Television display as a presentation device, stream movies from the DVD or BluRay player on your laptop, play games etc. However one of the issues many encounter in this process is enabling sound from the Laptop or Notebook to be played over the TV speakers through HDMI. 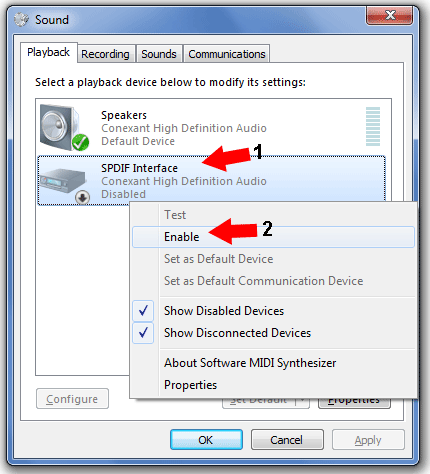 In the following simple solution, I will show you how to enable the sound from your PC to be played back on your TV. Sound should now be enabled from your PC to your TV through HDMI. A second volume slider should be available for you to control via the Sound Icon.